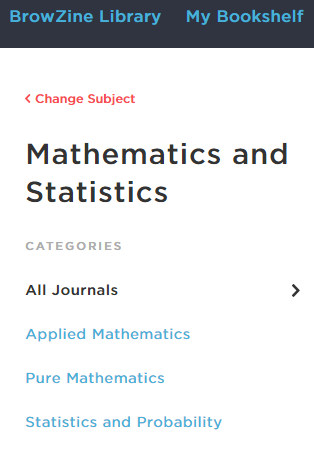 You can search by Subject Category, such as Mathematics and Statistics. Each category has sub-categories, as well. 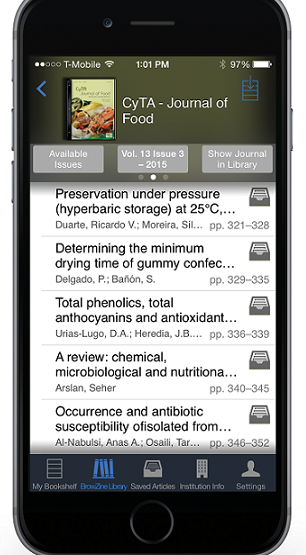 Many of our electronic journals are available in BrowZine; type in the title you are looking for.